The one with Spoiled Distant Memory! Good morning! I feel so much better than I did yesterday - I have NO idea what was wrong yesterday. So today I have another Spoiled polish, this one a deep, shimmery, minty, turquoise-y teal called Distant Memory. It has identity issues if you believe my description! hahaha I love this color! Formula was a bit wonky...but two coats worked it out! 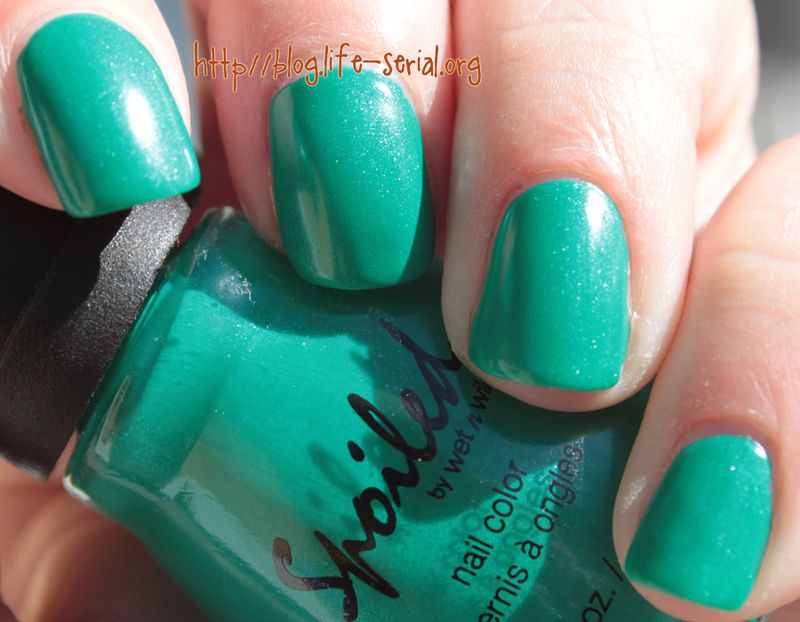 This is a very pretty shade! 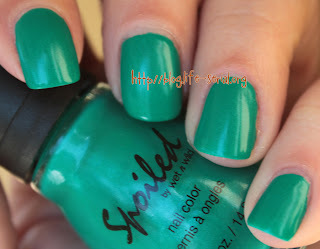 I believe it would be perfect for summer :) I will more than likely be wearing this one a lot, as it's a shade I adore.